Availability: This product is discontinued and no longer available for purchase. For alternatives browse our Running Hydration department. Suitable for day hikes, travelling and exciting adventures in the mountains, the Camelbak Arete 22 hydration running backpack offers a hydration capacity of 2 litres (70oz) and lets you organize your gear and conveniently carry a trail map, clothing, snacks and a headlamp. This highly compressible transformer easily reverses into an insulated reservoir sleeve to keep your water supply secure in a larger pack and has a practical zipper lid pocket with a key clip, as well as a side stash pocket for all the necessities. There are adjustable backpack straps, an adjustable sternum strap and a removable waist belt for the most comfortable and firm fit and the rucksack comes with Antidote® reservoir with patented Big Bite™ Valve for hands-free hydration and HydroGuard™ technology ensuring protection against fungus and bacteria. 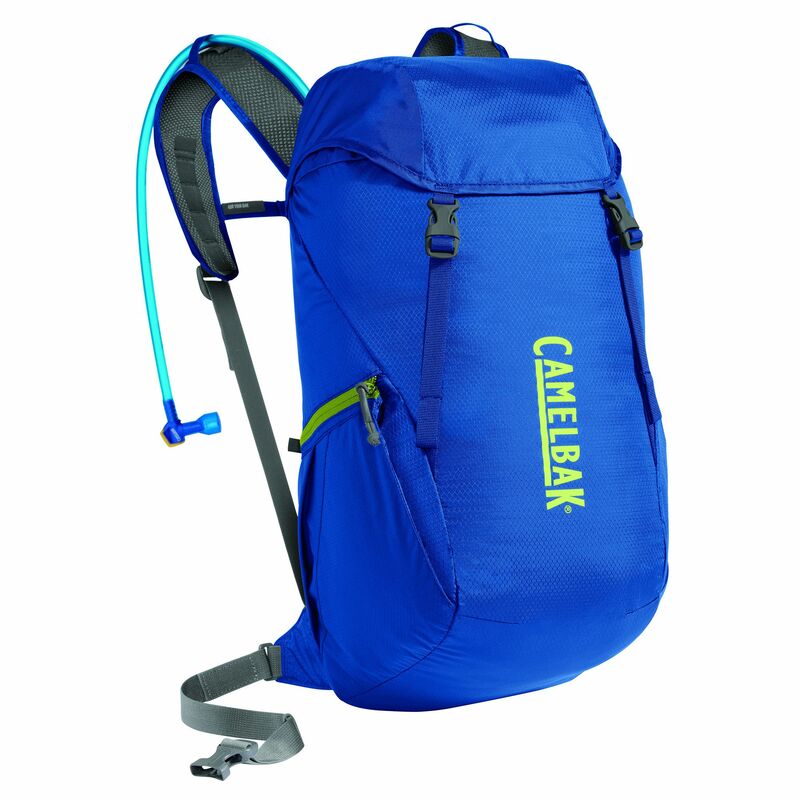 for submitting product review about Camelbak Arete 22 Hydration Running Backpack SS16.